SOPO Editor’s Note: This debate originated over a year ago, when Jim Epperson (biography at http://www.civilwarcauses.org/bio.htm) and Brett Schulte (http://www.beyondthecrater.com) realized on a TOCWOC Blog post on an entirely different topic that they differed with regards to the Sheridan-Warren controversy at the April 1, 1865 Battle of Five Forks. Jim suggested a classic debate format to iron out our differences, and the rest is history, pun absolutely intended. 🙂 This post and one following shortly after, both published on April 1, 2015, one hundred and fifty years after the events described, contain our debate. I’ll let Jim take it away below with the details. This is going to be an experiment, and we hope it does not blow up in our faces. Over a year ago, in the comments following another blog post, it became apparent that Brett and Jim were on opposite sides of the Sheridan/Warren/Five Forks controversy. Jim happened to mention, casually, that a friend had once done a CWRT program on this in a debate format: He had taken one side (Warren’s) and recruited a friend to take the other side (Sheridan’s). Brett mused that this might be fun to do at The Siege of Petersburg Online, so here we are! Was Sheridan’s relief of Warren at Five Forks justified? Since Jim is taking the affirmative side, he goes first, with a 1,000 word (approx.) essay. Brett will follow with an 800 word reply, and Jim will get a 200 word rebuttal. This initial post contains only this preamble plus Jim’s opening salvo. It is closed for comments in order to keep all the commentary in one place. The next post (which should go up at the same time tomorrow) will have Brett’s rejoinder as well as Jim’s rebuttal, and that is where everyone should feel free to chime in. Two or three maps are scattered somewhere in the mix. We have tried to footnote everything, in brackets at the appropriate place; e.g., [Babcock testimony, Warren Court of Inquiry (WC), vol. II, p. 901; see also Bearss and Calkins, p. 75. ], which is Jim’s first footnote. The notes were not counted against the word totals, neither were the many repeated usages of rank (Major General Sheridan, Brigadier General Chamberlain, etc. The ranks were put in after the word counts were settled). Neither of us views this as a “competitive” debate, although both of us are sure we will carry the day 🙂 . Our purpose is to generate some interesting (and polite) discussion. The text here is as recalled by Babcock during the Warren Court of Inquiry in October, 1880. 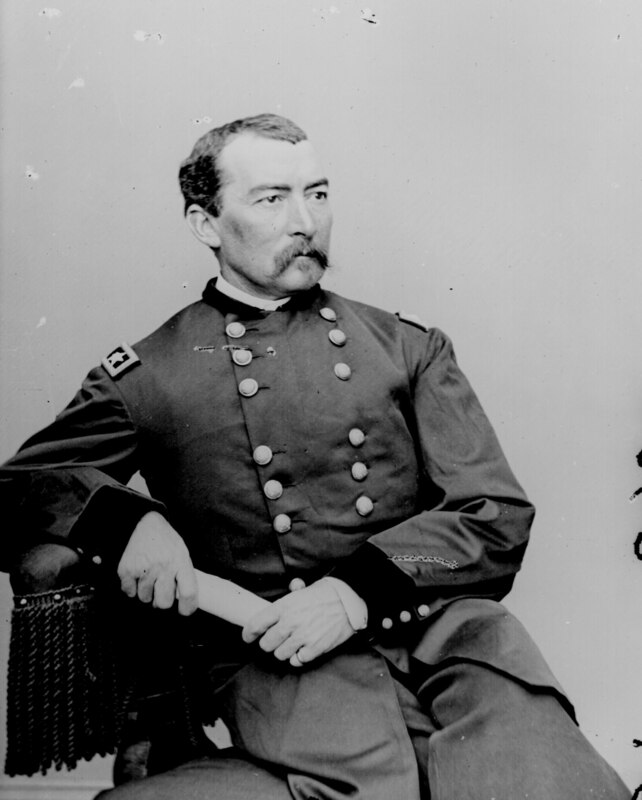 The question before us is whether or not Warren’s conduct before or during the Battle of Five Forks justified Sheridan’s exercise of this discretionary authority. I think it did. Phil Sheridan: Was his removal of Gouverneur K. Warren at Five Forks justified?